There are many reasons to detail a car, but not all of them are purely cosmetic. Proper detailing improves and maintains the health of your car in much the same way as changing the oil and spark plugs. 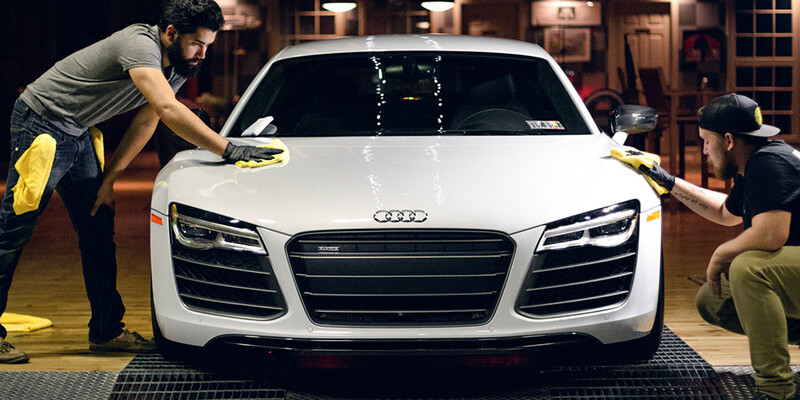 While detailing takes a bit of effort, the benefits to reliability, safety and beauty are all worthwhile. Proper cleaning, polishing and waxing greatly extend the life of a car’s paint. Your paint protects the metal underneath. If allowed to degrade, rust and corrosion can wreak havoc on your car with potentially devastating results. Trying a reasonably priced detailing package specifically dealing with paint is a good place to start. In areas that experience seasonal snow fall, road salt can be one of the best reasons to regularly detail your car. Deposits of salt and mud can build up in wheel wells and under the chassis. Given enough time, these deposits can eat right through your paint, causing damage to the chassis that isn’t easily repairable. Part of proper detailing is making sure your headlights and taillights are clean and free of damage. Even mild deposits of dirt and grime on your lights can cause large reductions of available light, which can be potentially dangerous at night or in harsh weather. By regularly cleaning your interior, you get rid of bad odors, protect surfaces from fading and help prevent cracking and discoloration of the dash panels. Not only does this greatly improve resale price, it also adds a great deal of comfort for the driver. Oils, solvents, brake dust and other chemicals frequently encountered during normal driving can have a negative effect on your wheels and tires. By properly detailing them, you not only keep them looking good, but you also reduce the risks of cracking in the sidewalls or failure of the wheels due to corrosion. Proper detailing not only helps to keep your car looking great, it helps to keep it running great both inside and out. This not only improves value and safety, but also personal comfort and pride in your car. Does Detailing a Car Improve Its Resale Value? Detailing a car is a cost-effective activity that can quickly improve the resale value of a used vehicle. While customers who purchase their cars from dealerships expect the vehicle to be detailed before their purchase, used cars are rarely detailed before they are sold by private party sellers. By having a used vehicle detailed before showing it to prospective buyers, a private party seller may be able to sell their vehicle for up to $1,000 more than if it was not detailed. A used car can be detailed for around $100, so it is a small investment that you can easily recoup. If you are considering detailing your vehicle on your own before offering it for sale, there are some important areas to focus on as you detail. Be sure to clean the engine compartment, as this is a common dirty area on used vehicles. It is also important to place at least a coat of liquid wax on the exterior of the vehicle to help restore a like-new luster. Be sure to clean the carpets and seats, and give the interior adequate time to dry before showing the vehicle to prospective buyers. Making use of these tips will help you increase the resale value of your used vehicle. Bill’s Detailing is Boston’s Leading Installer of CeramicPro. Established in 1993 by owner William Lima, Bill’s Detailing Service provides you with years of expertise in automotive detailing.